Over the past several decades, coffee production in Vietnam has developed as a major export-oriented industry. The country is the world’s second-largest producer of coffee, and 90 to 95 percent of its production is exported, bringing in billions of dollars in revenue every year. But despite the dominance of the country’s coffee industry, its future is threatened. Environmental limitations mean the country’s coffee production can’t continue to expand the way it has for several decades. Climate change is expected to significantly reduce the land suitable for coffee farming, as average temperatures increase and the dry season becomes longer and hotter, reducing water availability. On top of these looming climate threats, coffee farms in Vietnam are in need of an overhaul. More than 30 percent of the country’s coffee trees are 20 to 30 years old, meaning their yields are declining with every season. And the vast majority of the country’s coffee crop is the Robusta variety, which commands lower prices than premium arabica varieties grown mostly in South America, a factor that limits export earnings. In response to these various challenges, Vietnamese policymakers are introducing reforms to transform the sector. In 2016, the government rolled out the Sustainable Coffee Plan Till 2020 and Vision to 2030, an agenda aimed at sustainably managing economic and environmental resources for the coffee sector, increasing export earnings and ensuring stable production. While it is too early to speculate on the plan’s success, the struggle of maintaining productivity in a changing climate landscape is symbolic of challenges agriculture will face more frequently this century. Coffee was first introduced to Vietnam in 1857 by French colonists growing coffee for workers in monasteries. 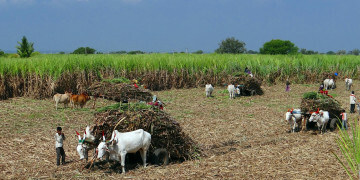 The plants were found to grow well in the country’s climate, and producers had established regular production by the late 19th century, though not on a large scale. In the 1920s, Tay Nguyen, the Central Highlands region, was discovered to have ideal conditions for coffee cultivation, and in 1975 the region was targeted for expansion in coffee production. However, it was not until the confluence of several economic and social factors that coffee production in Vietnam took off. Following reunification with the south in 1976, the government encouraged migration to sparsely populated regions, such as the Central Highlands, to address unemployment and social unrest. From 1975 to 2000, population in the region grew from 1.5 million to 4 million. This newly available workforce created the foundations for growth in the coffee sector, and by the time the government phased out central economic planning and collective farming systems in favor of market liberalization and land reforms, farmers in the Central Highlands found huge benefits in producing more coffee for the export market. Through the 1990s, prices of food commodities such as rice were government-controlled, yet coffee prices were not, pushing more farmers to switch to coffee cultivation in search of higher profits on the international market. From 1986 to 2016, coffee production in Vietnam has grown by nearly 100-fold, from 18,400 tonnes to 1.76 million tonnes, and 90 to 95 percent of this production is exported every year. The key to Vietnam’s coffee success has been focusing on a coffee variety called Robusta, or Coffea canephora, a lower-quality variety used for instant coffee production, filler for blended coffees and other lower end products. Robusta coffee fetches a lower price than its higher-end counterpart, Arabica coffee, or Coffea arabica, but Robusta is also far easier to grow. Because of its higher caffeine content, Robusta is more resistant to pests and disease. Additionally, fertilizer and water inputs can be varied to affect yield without affecting the health of the plant, whereas Arabica plant health can be significantly damaged by drastic changes in inputs. Robusta coffee is also easy to store and transport, and as a lower-end product price is little affected by quality, meaning it doesn’t need to be handled or stored with as much care as Arabica. Arabica coffee needs cooler weather, growing in subtropical regions at 1800 to 3600 feet above sea level and in tropical regions at 3600 to 6300 feet above sea level. Robusta is much more tolerant to heat, cultivated at sea level to 3000 feet in the tropics. Ideal average temperatures are 15 to 24 degrees Celsius for Arabica and 24 to 30 degrees Celsius for Robusta. 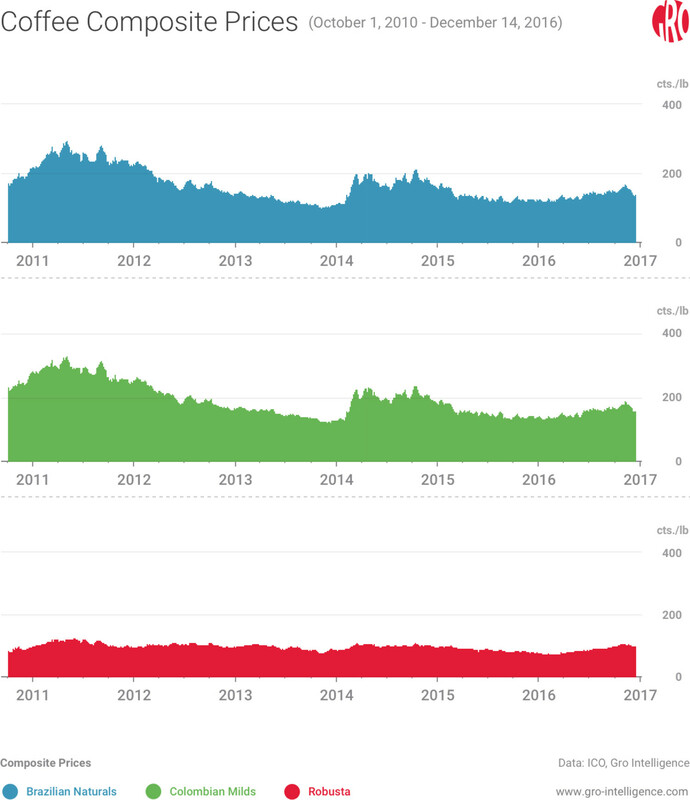 Daily composite coffee prices of Colombian Milds and Brazilian Naturals, two Arabica varieties, and Robusta. Arabica varieties command nearly double Robusta varieties on average, yet their premium status and more sensitive growing conditions cause greater volatility in their prices. Vietnam has created a unique brand of high-intensity Robusta cultivation that has boosted profitability for its coffee farmers. Vietnam irrigates its Robusta crop, while other producers consider returns on Robusta coffee too low for irrigation. Vietnamese farmers also use significant amounts of chemical fertilizer and practice pruning to maximize fruiting nodes. And they’ve further catalyzed yield growth by planting improved tree varieties. The result is a dense monoculture of Robusta trees whose yields are the world’s highest. 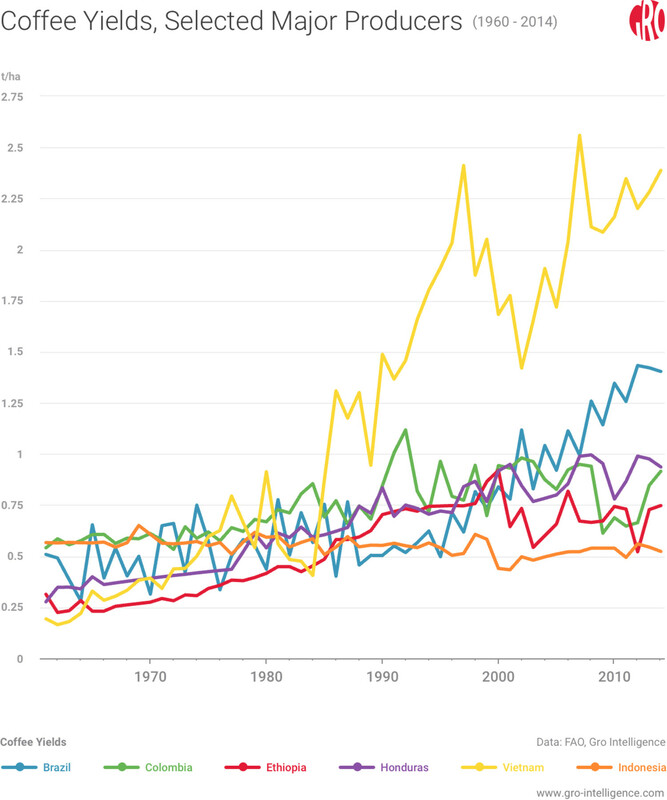 And because Robusta trees yield more beans per hectare than Arabica trees, that makes Vietnam the coffee producer with the highest yields in the world. Many Vietnamese farmers harvest more than 3.5 tonnes per hectare, while Robusta yields per hectare average 0.8 tonnes in Thailand, 0.5 tonnes in Indonesia, and 0.4 tonnes in Laos. Vietnamese coffee producers have the highest yields in the world. At 2.4 tonnes per hectare, Vietnam’s coffee yields are considerably higher than that of the runner up, Brazil (a producer of both Robusta and Arabica beans), which has total yields of about 1.4 tonnes per hectare. Major producers of only Arabica coffee, including Colombia, Honduras, and Ethiopia, are still struggling with yields below one tonne per hectare, and Indonesia, a producer of mostly Robusta beans, only yields about half a tonne per hectare. Another factor that has catalyzed coffee production growth in Vietnam is that there is a significant amount of price visibility within the Vietnamese market through various forms of formal and informal information systems, including television, radio, newspapers, mobile phones, and websites. A market with little-to-no information asymmetry benefits farmers, as they are able to command a higher price for their beans. Consequently, coffee farmers typically receive 90 to 95 percent of the free-on-board (f.o.b.) export price, further encouraging cultivation. One downside to the vast, high-yield monoculture is that when coffee prices drop, farmers have no income from other crops to fall back on. Although the industry has fared well in the past several decades since production has skyrocketed, ongoing prosperity is threatened by looming climate and structural challenges. In Vietnam’s Central Highlands, where 80 percent of the country’s coffee is grown, the rainy season lasts from April to November. During the dry months, producers use irrigation to ensure coffee trees receive plenty of water to keep yields high. Yet research from the Center for Tropical Agriculture (CIAT) suggests that by 2050, climate change could regularly delay the rains until June. This would require a great deal more water for irrigation in a region where 90 percent of water usage is already dedicated to some form of coffee production, and water resources may be too strained to maintain current yield levels. Changing weather patterns will also shift the areas that are suitable for coffee production. According to an April 2016 report by Conservation International, from 2010 to 2050 the suitable area available for coffee production in Vietnam will decline by 63.1 percent for Arabica and 44.9 percent for Robusta. The remaining available area is more than suitable to accommodate expected demand; however, migrating to higher altitudes to access suitable growing conditions threatens deforestation in regions where forests provide valuable watershed protection. Clearing forests for coffee cultivation would exacerbate the problem of available water for irrigation. According to the report, the Andes and Southeast Asia are the coffee-growing regions most at risk of deforestation in the coming decades. Vietnam got a preview of these conditions in early 2016, when El Niño conditions brought the worst drought in 20 years. Rains from December 2015 to February 2016 were 40 percent below the previous year’s level, and by mid-March reservoirs were 15 to 35 percent below average levels. Earlier in the year, the Vietnam Coffee - Cocoa Association (VICOFA), the country’s main industry trade group, estimated that the drought would cause production losses of up to 30 percent. Yet the most recent USDA estimates from November 2016 have put the drop at only 8 percent. 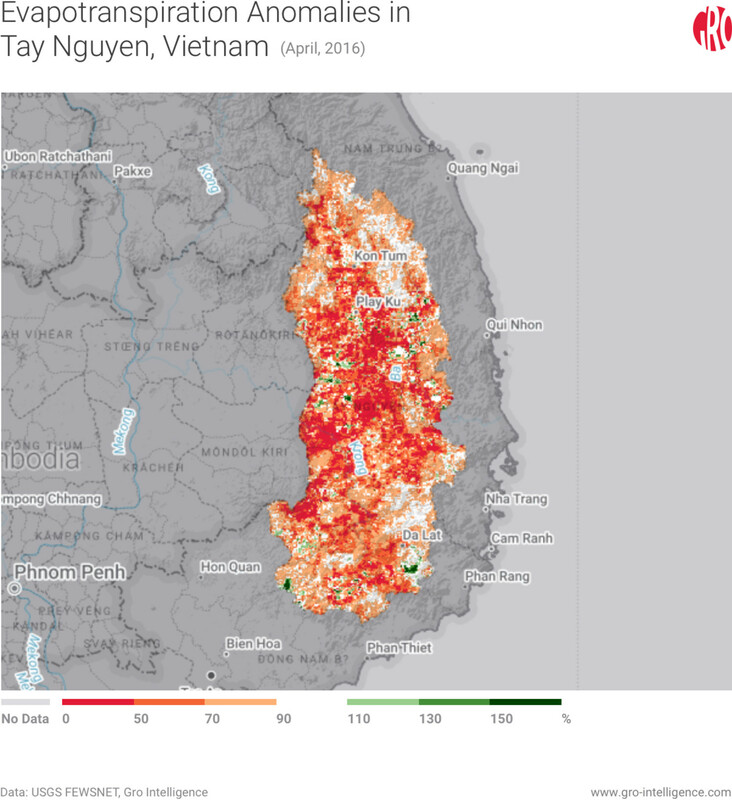 Evapotranspiration anomalies in Vietnam’s Central Highlands region (Tay Nguyen), which produces about 80 percent of the country’s coffee, in April 2016. 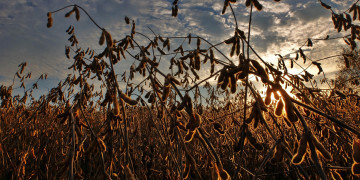 The low evapotranspiration figures indicate a significant reduction in water availability in early 2016, a critical period for healthy bean formation. In addition to impending climate changes, structural conditions in the industry are raising the prospects of threats. More than 30 percent of Vietnam’s coffee trees are 20 to 30 years old, beyond their most productive age, decreasing yields and outputs for farmers. Coffee trees’ yields peak at eight to 15 years old, after which they decline every year, and academic research suggests that after 22 years at the very latest, trees are no longer economically viable. Beyond this, trees should be cut and replanted. Yet for farmers, replanting is a significant investment that requires forgoing income in the short term, as coffee trees take four or five years to begin bearing fruit. Still, with every passing year of depleted returns from old trees, investing in replanting represents an even bigger burden. Finally, as Vietnam’s coffee crop is intensively monocultural and there is a very small domestic market in Vietnam for coffee (for comparison, the country’s per capita coffee consumption is less than one-fourth of Brazil’s and the US’s), farmers are highly exposed to price fluctuations in the international market—another factor contributing to risk in investing in replanting. Poor weather in major Robusta growing countries has caused Robusta prices to rally in 2016. Vietnam, Brazil, and Indonesia account for about three-quarters of global Robusta production, so growing conditions in these countries highly affect price fluctuation. 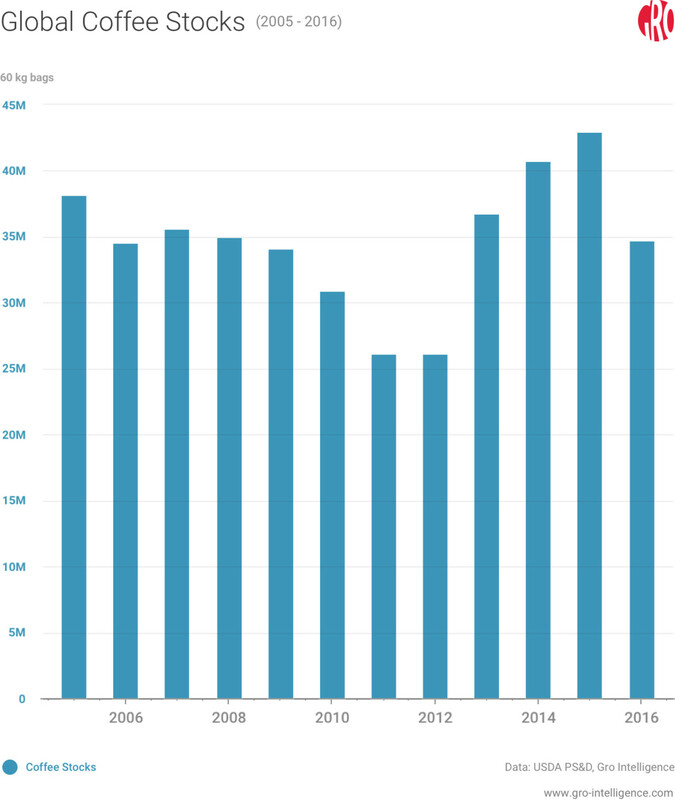 After a relatively steady decline through 2015, Robusta prices turned a corner in March 2016 when the extent of the drought in Vietnam started to become apparent, and they continued to increase later in the year when rains were also delayed in Brazil, the second-largest Robusta producer. Production quantity in also expected to be low for Indonesia due to dry conditions in late 2015 caused by El Niño. Robusta prices hit a 25-month high in November 2016 due to poor weather in the three largest Robusta-producing countries, Vietnam, Brazil and Indonesia. With drought conditions affecting production in the top three producers, Robusta prices climbed in 2016, peaking in early November, when they reached their highest values since October 2014. After this peak, prices relaxed a bit when favorable weather in Vietnam allowed for strong progress on coffee harvests. If Robusta producers face another year of poor weather and stocks continue to drop, prices stand to rise even higher in 2017, though recent rains bode well for the 2017 harvest. With stock quantities down after poor harvests in 2016, if Robusta prices remain high, producers may be able to turn to lower-cost varieties of Arabica. 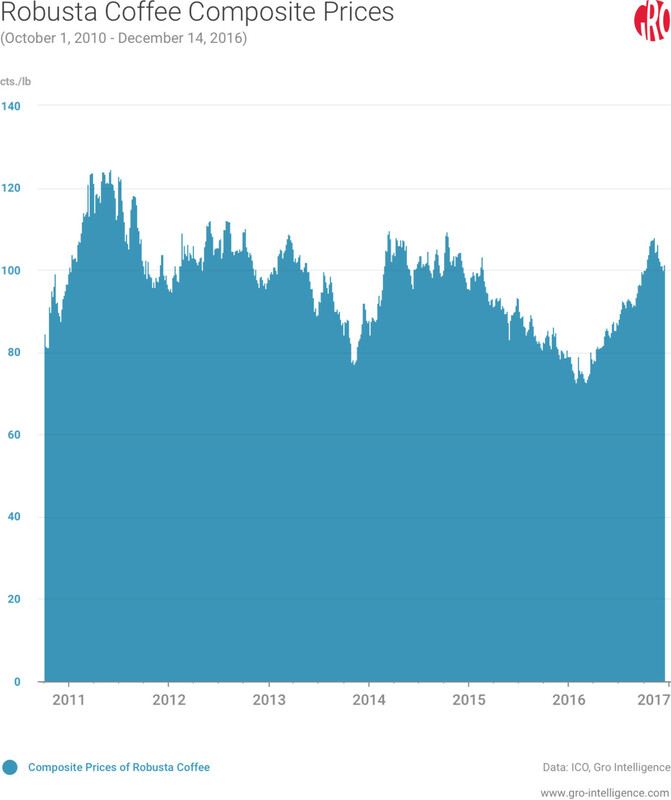 In October, Brazilian domestic Robusta prices pushed higher than lower-grade Arabica prices for the first time in 15 years. If this trend continues, coffee manufacturers could alter their blends to take advantage of lower Arabica prices. The two varieties are not perfect substitutes, but there is some overlap. Producers of high-end coffee are limited to the best Arabica beans, but instant and blended coffee producers are more beholden to keeping the unit sales prices low, so they adjust their blends based on price. Global ending stocks for all coffee varieties (including both Arabica and Robusta) are expected to fall in 2016 after unfavorable weather in the large coffee producers like Brazil and Vietnam. Beyond low output in 2016, Vietnam’s coffee industry has been forced to look to the future to address its environmental and economic vulnerability. Earlier this year the Vietnamese government released the Vietnam Sustainable Coffee Plan Till 2020 and Vision to 2030. 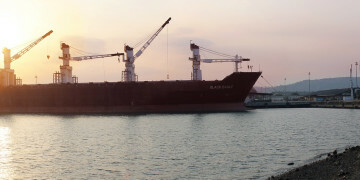 The plan includes concrete economic goals for the industry’s performance by 2020, such as achieving $3.8 to $4.2 billion in export revenue and increasing value-added processing. It also sets pointed environmental directives, including putting a cap on nation-wide coffee cultivation at 600,000 hectares and exploring water-saving irrigation methods. These goals are an indication that Vietnam hopes to maintain its position as a coffee powerhouse, ensuring stable production conditions for the future. As another sign that Vietnam takes its coffee production seriously, the government recently designated December 10, 2016 the country’s first national coffee day. The date commemorates the day in 1961 when President Ho Chi Minh visited Dong Hieu coffee farm in Nghe An Province. 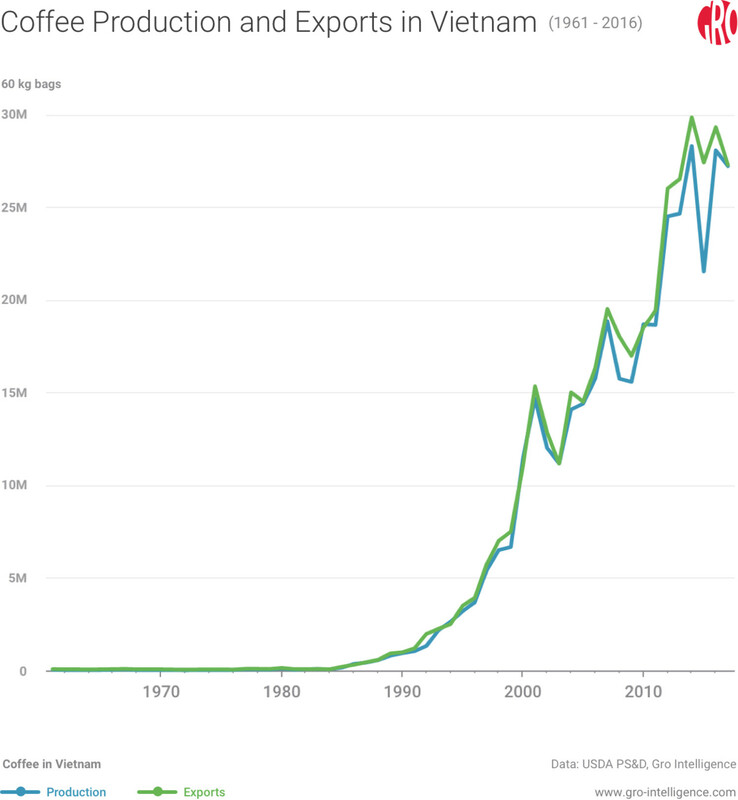 In just a few decades, Vietnam has made a big name for itself in the coffee sector. It invested in highly intensive production of Robusta coffee to become the largest and most efficient producer of the crop in the world. And its competitive and open marketplace allows a high percentage of the final sale price to funnel back to the farmer, fueling rapid growth. Yet recent research suggests that Vietnam’s coffee sector will have to adapt quickly to a hotter, drier world as the country’s main coffee-growing region’s rainy season is expected to shorten and the suitable climate for coffee production will shrink. El Niño conditions in 2015-16 gave Vietnamese producers a taste of the future, and production volumes in 2016 are expected to drop by 8 percent. Vietnam’s Central Highlands, where 80 percent of the country’s coffee is grown, may be acutely affected by climate changes as deforestation and reduced rains particularly threaten the environment and agricultural livelihoods. But the phenomenon is not limited to Vietnam. 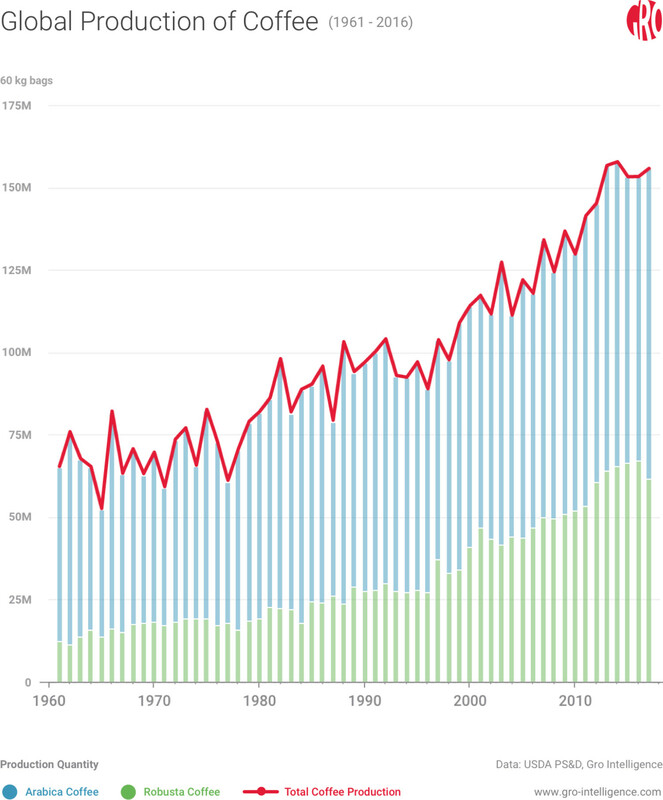 An increasingly crowded and warming world will inevitably affect agriculture. For Vietnamese coffee, this effect will certainly be negative. In other regions of the world, there may be positive benefits, allowing cultivation of crops where it was previously too cold. But in either case, it will be important for the participants in the entire coffee supply chain to keep ahead of the curve, minimizing environmental destruction and preventing food supply shocks.